When it comes to jewellery trends this year, earrings have dominated, and they’ll be hanging around for the rest of summer. From micro to maxi, studs to swingers, earlobe accoutrements are what you need right now to complete your holiday wardrobe – or cheer up this frankly dreary summer we’ve been having at home. Not into earrings? Hair jewellery is also having a moment, too, and it’s the perfect addition to an on-trend braid or updo. Ready to accessorise? These are our top picks for summer’s four coolest jewellery trends. If you’ve embraced this season’s Cuban fashion trend, first of all, we salute your sartorial taste – all those ruffles and hothouse hues are so dreamy. 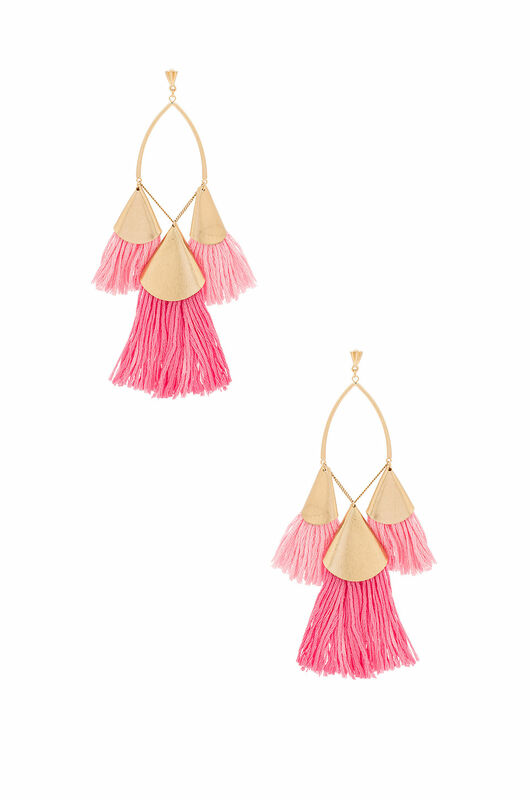 Second, you simply must buy a pair of tasselled earrings to complete your Flamenco dancer emoji look. 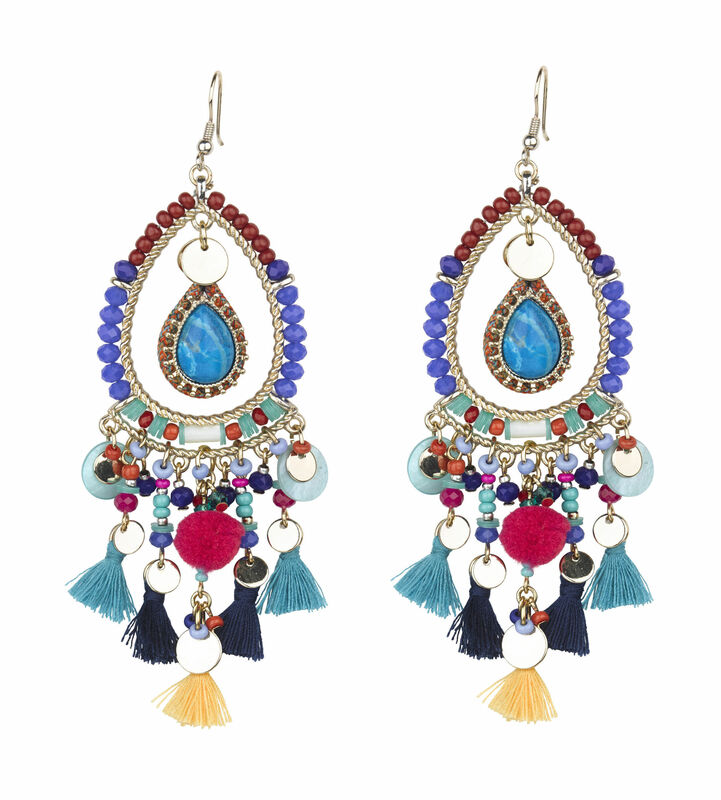 Jangly and beaded or long and swishy – the choice is yours. Giant hoop earrings look great on some people but not everybody wants a pair of huge gold discs flailing about every time you so much as turn your head. For the avowed minimalist, huggie earrings are where it’s at. 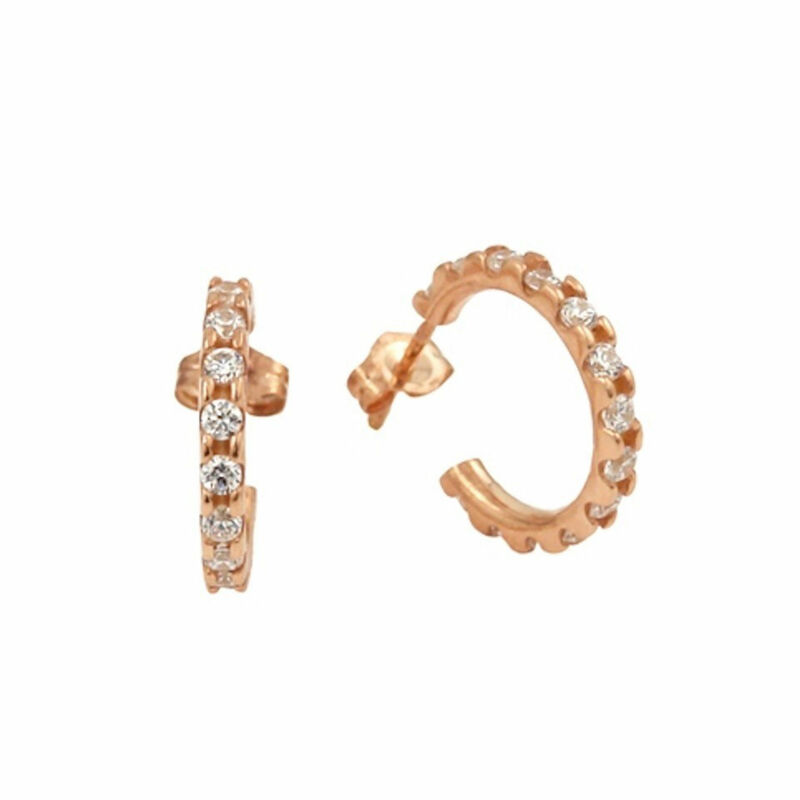 These micro hoops are ideal if you’ve got multiple piercings – stack them all the way up to your helix, or mix and match with teeny tiny studs. At the other end of the earring spectrum are the bold, multi-part danglers that are anything but minimalist. 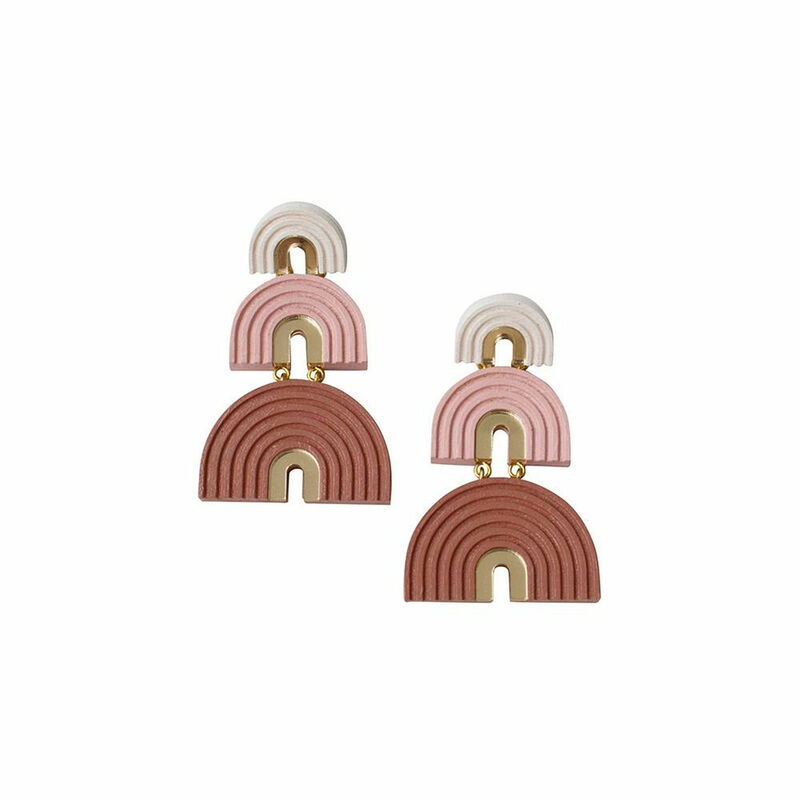 Graphic, but not overly glitzy, these statement earrings work best in natural materials like shell, wood and hammered gold. You want it to look like you picked them up at a night market in Morocco. If you hear the words hair jewellery and think sparkly, diamante-covered clips that are usually worn only for black-tie events or when you’re getting married, think again. This season’s pins and combs have a cool, Grecian goddess vibe about them, so they’re not wedding-y at all. 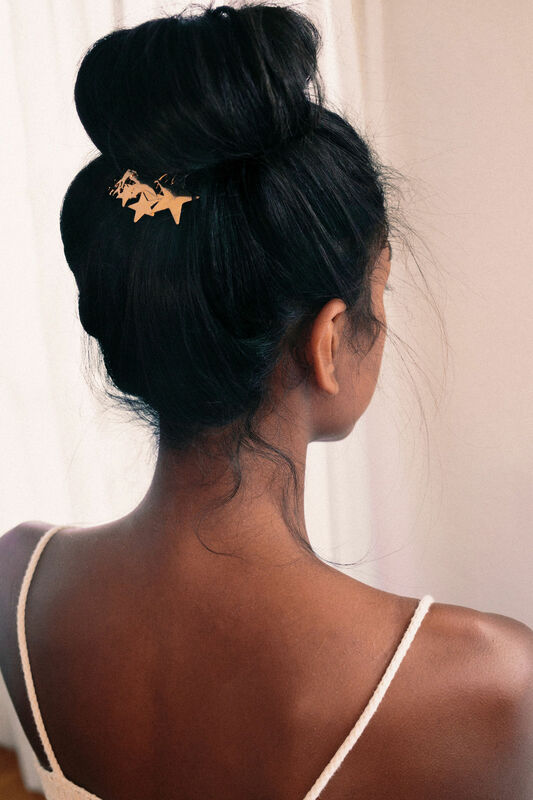 Add a few silver pins to a relaxed French plait or fasten a messy bun with a gold cuff – this look is beachy, not bridal.